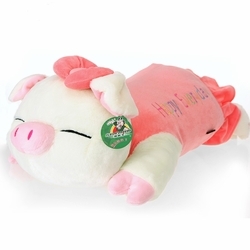 This Fat Pig Pillow Buddy is most adorable. All dressed up in pink and complete with a pink bow , she is any girl's dream pal. She is just ready to go everywhere with her owner and buddy. Kids, big and small will love bringing her everywhere for company - while watching tv, during trips and in bed! 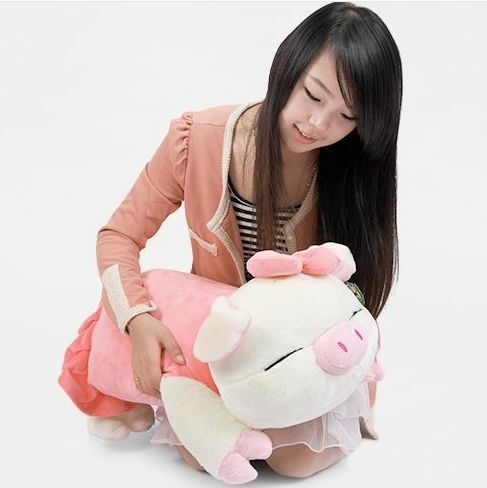 The Fat Pig Pillow Buddy comes in 2 sizes - small and large. Extremely popular, especially for girls and children, it is a perfect gift to give!